Marketplaces and prices shown matched UPC number 887961475661 during our search. Getaway with Barbie Doll and all of her sisters together ready for wintry fun! Barbie Doll and all of her sisters are ready for Winter vacation! Barbie, Skipper, Stacie and Chelsea dolls come together for family bonding in this Set. Each Doll is dressed in seasonal clothing and has gear to enjoy a winter activity. 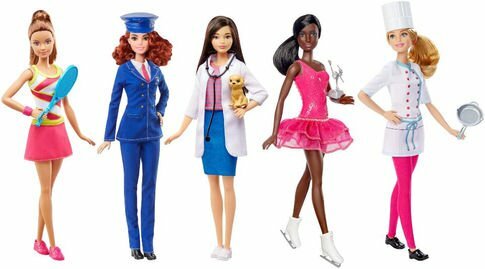 Barbie Doll and Chelsea Doll can go ice skating. Skipper Doll can conquer the mountain with her snowboard and helmet. And Stacie Doll can slide down on her round sled. Barbie Doll has a pink scarf, Skipper Doll wears a puffy vest, Stacie Doll has a pink scarf of her own and Chelsea Doll is adorable in her pink pom-pom hat. Play out a winter vacation full of fun and sisterly bonding all year long! 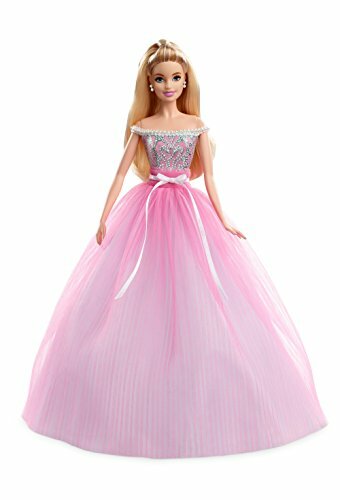 Includes Barbie Doll, Skipper Doll, Stacie Doll and Chelsea Doll wearing fashions and accessories, a round sled, a snowboard and a helmet. Barbie Doll cannot stand alone.